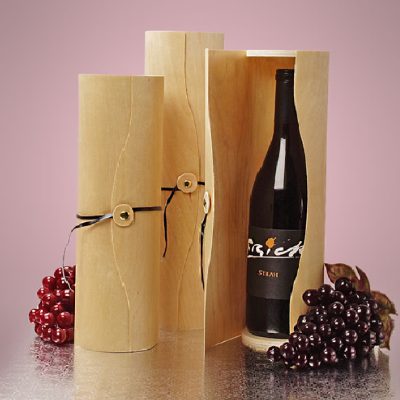 This Large Cylinder Wood Wine Box allows you to deliver gifts of wine to your friends and family. Have a friend who is a chef? 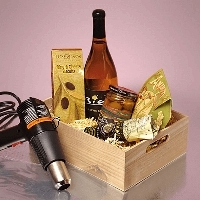 You can also gift them bottles of special vinegar, and oils using this uniquely rustic box. Thin unfinished popular wood closes around the bottles and you can close with the attached a button string closure. Perfect for holidays like Christmas, for birthdays, to give as favors from weddings and other events and a wonderful celebratory gift as well. Promotions, graduations from college, births, housewarmings and all those life events that deserve celebrating are ideal for this wine box. 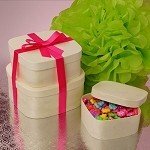 Set up a reoccurring ladies night and let your friends express their own creativity on these plain, wooden wine boxes and design their own unique container. Use for a variety of ideas such as storage, arts and craft ideas and more. Incorporate a unique touch to your gift giving and creativity. 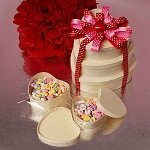 Order your natural gift box today! Each wine box is complete button string closure made with a poplar wood button and a thin leather strip. Note: Natural indentations may occur due to the manufacturing process.